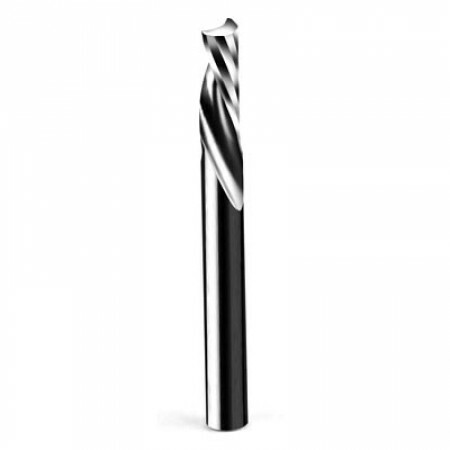 The Onsrud 62-733 CNC Router Bit is used to cut Hard Plastics. This router bit has a downcut polished spiral O flute for a smooth finish and improved part holding, with an overall length of 3". The cutting diameter is 3/8”, shank is 3/8", and the cutting length is 1 1/8". The 62-733 is a best seller for CNC Applications.